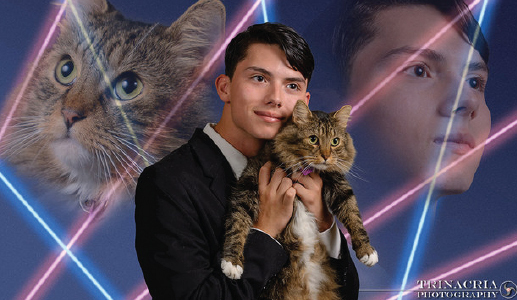 Draven Rodriguez, a senior at Schenectady High School in New York, wanted his year book photo to.. stand out. And he successfully made that happen. He also successfully started a petition to get it printed, knowing that his creativity might not be welcomed when it came to production hour. He was right. And while the photo below didn’t make it into the yearbook, the retake did. 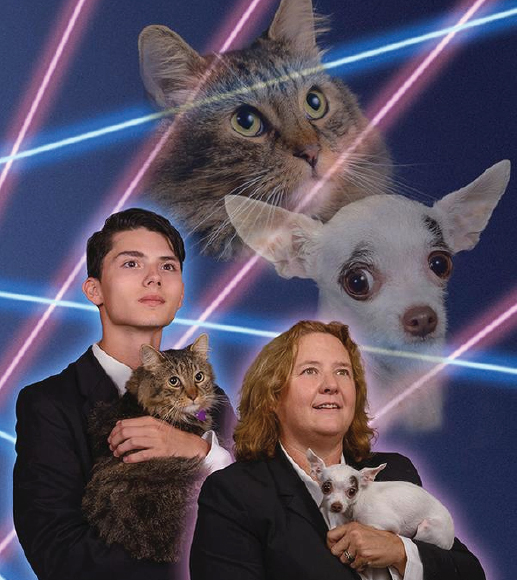 Featuring not only Draven, his cat, Mr. Bugglesworth, but also his principal, and her chihuahua, Vivienne. And the real winner in this game: Vincent Giordano. The photographer at Trinacria Photography who captured the (now viral) magic. And, best part of the story, the end goal was to raise awareness for the ASPCA, to rescue more animals like Mr. Bugglesworth & Vivienne.